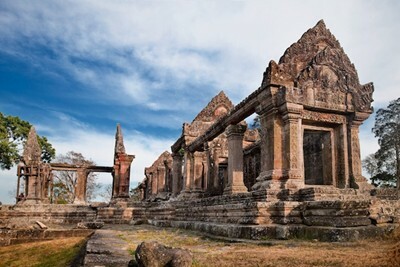 "Preah Vihear lies in Sisaket province of Cambodia and directly on the edge of the Thai border. This natural barrier, which encloses the Cambodian plain, was crossed by a number of roads that led to the sacred sites dedicated to the god Shiva of Wat Phu in Laos and Phimai in present day Thailand." 13 people want to do this. 4 people have done this.